After successfully selling his first business - Sunglasses Shop, Daniel Puddick decided to put an idea that he had been working on for years into motion. He wanted his next business to be one his children would be proud to be associated with and one that would make steps to help change the world. In 2015, after gathering the best in the industry and briefing them on his idea, Sundried was born. With a collection made from 100 per cent recycled plastic bottles and coffee grounds, Sundried is paving the way for sustainable fashion while also helping to combat the global plastic solution crisis. Sundried also supports charities such as Water For Kids and Surfers Against Sewage which takes the ethical ethos to the next level. With all products being fully trackable from source to sale, transparency is a top priority and all people within the supply chain are treated and paid fairly. We sat down with Daniel to talk about Sundried, the famous person (people) he would love to see wearing his brand and plans for the future. Tell us about Sundried. What is it? 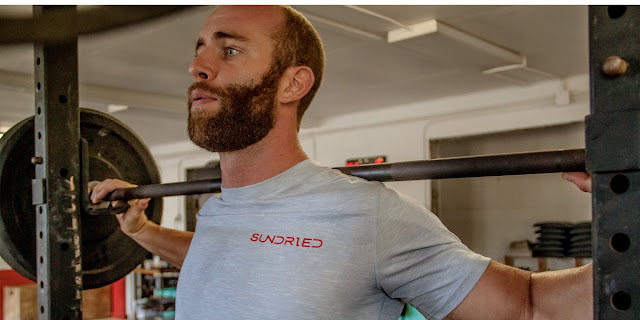 Sundried is a premium and ethical activewear brand inspired by the beauty of the outdoors and leading triathletes. We deeply care about the environment and we want to go a step further to make things better than when we found them. How did you come up with the idea for Sundried? Sundried first started out as a cool little skate brand many years ago but as my love for triathlon and ethical production grew, I knew I had to change my focus. I wanted to create a brand that had longevity and that my children would be proud to be associated with in years to come as I strongly believe the next generation will be focused on ethical production. What has been the biggest challenge with getting Sundried off the ground? Launching a new brand in the competitive fitness industry was always going to be a tough challenge but our customers prove that we are delivering innovative, high quality and comfortable apparel. Watching the business grow and all the positive feedback from our customers. Also knowing that we are making a difference to the environment and supporting charities such as Water For Kids and Surfers Against Sewage. 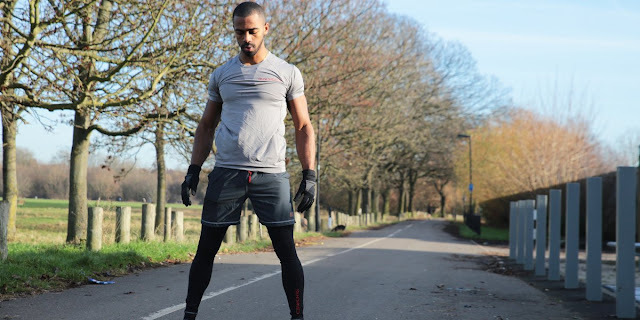 If you could have one famous person wearing Sundried, who would it be and why? Can I have two? The Brownlee brothers because you couldn't have one without the other, amazing and inspiring triathletes! What does the future hold for Sundried? Any other ventures in the works? I hope we can grow even further continuing to use the latest developments in technical recycled materials to ensure our collections perform at their best. Watch out for our biodegradable t-shirt- coming soon! Hard work and perseverance pays off, you've got to give it everything you have. Build a brand made from passion!